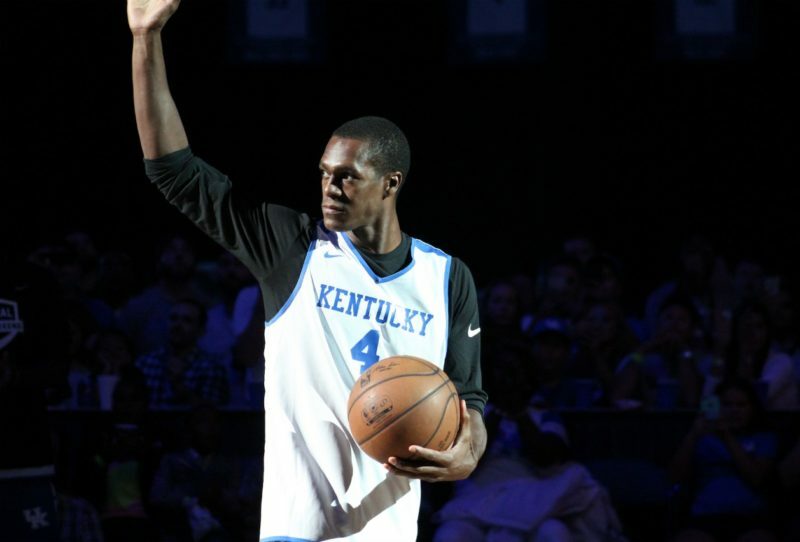 Former Kentucky Wildcat Rajon Rondo has played on both sides of the Boston Celtics/Los Angeles Lakers rivalry. Tonight, he had a moment in the series he will always remember. Rondo returned to Boston tonight, the place he won a 2008 NBA championship, as a member of the LA Lakers. While Boston fans will remember him for the title run with Ray Allen, Kevin Garnett, and Paul Pierce, tonight is a moment they will want to forget. With the Lakers trailing 127-128, Rondo found the ball in his hands with 1.3 seconds remaining on the clock. Rondo released the game winner as time expired to give the Lakers a 129-128 win they desperately needed.